Long Island has been home to some amazing rock bands in the past ten or fifteen years. With that being said, there hasn’t been a band from the area catch to my ear since Envy on the Coast back in the day. 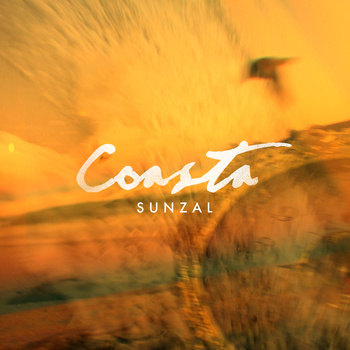 That’s why I’m happy to say that Coasta has. As a new band, Coasta haven’t done much touring and only have a five song EP out at the moment, but upon listening you can tell these guys have something great going for them. 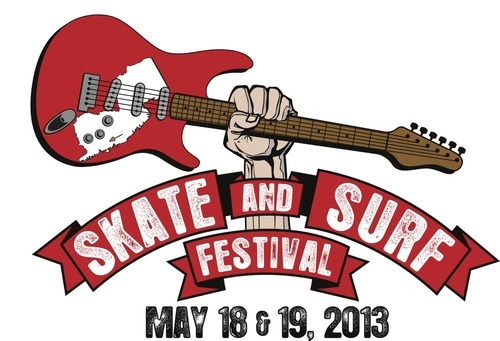 I caught up with Jamey Lacey and Steve Kupillas from the band back at Skate and Surf and we took some time to talk about the local scene and the music that matters to them. Pop-Break: How’d it go today? Jamey Lacey: It went good. It was our first time playing an outdoor fest so, you know it’s not the same thing as playing inside an enclosed venue. So that took a little getting used to, but… it was a ton of fun. The crowd was great and we had a great time. Steve Kupillas: Has some beach balls going. PB: Are you touring now? PB: And you guys put one out recently right? JL: About a year ago from today almost… So we have a five song out and we’re hoping to have a full length out end of summer, beginning of fall. JL: Pretty similar to the direction we were going, just a little bit more mature. I guess we’ve all gotten a little bit better at our instruments and a little more comfortable with trying to figure out what our sound is. So it’s pretty much in the same vein though. PB: How long ago did you guys come together? SK: About two years ago right? JL: EP was released a year ago and we probably got together maybe like six months before that. So almost two years we’ve been a band. PB: Awesome. So have you guys been touring for a while? JL: No, we put the EP out then we had some lineup changes in regards to another guitarist so that kind of offset doing shows. But we’ve been doing more recently so it’s been a lot of fun. PB: Is it cool in Long Island, the scene there still? SK: It’s suffering a little bit ‘cause all the venues are kind of getting shut down. The DIY stuff is not staying open for very long. JL: Not many places to play. But New York City is always great ‘cause there’s always a new place to play and always a new crowd. But Long Island, not so much anymore. PB: Damn. Yeah I’ve been hearing that, I was hoping to hear a resurgence because it was always so good. SK: I mean there’s definitely people who love throwing shows though, it’s just they close down these places … we played at a place called the Moose Lodge when we came back. It was sort of like our homecoming show after our little run. It was cool, it was just a DIY spot, they let promoters use it for free. It was a dope spot and they shut it down. PB: What would you guys say your influences are? JL: Everything. We like a lot of music, a lot of old stuff, a lot of new stuff. JL: Yeah the new Alt-J record, the new Local Natives record we think are really good. SK: Now, Now. We actually played with them. A lot of our stuff is a little on the darker side. Kind of like Young Blood in a sense. Darker, heavy hitting, but… we’re kind of getting into that like a little bit darker sound too. But, obviously Radiohead is a huge influence on us. JL: Our parents grew up on rock and roll so we obviously listen to music from pretty much every decade and every genre. We’re music fans. You can always find good stuff everywhere. SK: Usually something we listen to leaks in. A lot of times we write a song and name it after the band we think it sounds like. PB: So what are your guys plans after this? JL: Just get the record done. We’re going home and back into the studio for the next few months. PB: Are you working with a producer on this or just yourselves? JL: We are not. We did the first one ourselves and we’re doing this LP ourselves. PB: No Label? Kickstarter or anything? JL: No label. Nothing. Really doing it yourselves. JL: Yeah, no, we would. I guess any labels that we’ve had contact with want to hear the stuff and none of it’s finished so we haven’t been able to show them. But I’m sure, hopefully something like that will come into the equation once the record gets a little closer to getting finished. PB: Are you guys doing this full time? JL: No, we have jobs. We don’t make any money off this at this point. SK: We’ll see what happens with the new record. PB: What else do you guys like to do? Just music guys? JL: Yeah, just music. That’s pretty much our lives right now. We just work jobs just to try and get this, you know, whatever this is, trying to enjoy as much as we can. We’re working to do this, not the other way around. We’re not doing this to work. PB: Do you see it as one day becoming that? Is that the goal? SK: I could see us being a touring band that has like a good quota for a night, that can survive off it, we can make a living. That’s where we all want to be. JL: Go on the road a bit, just be able to break even on our bills. Just to have some fun is the main thing.